Dean Butler posted the following on Facebook half an hour ago. So sad. Our great Little House friend, Richard Bull, passed away this morning at the Motion Picture Television Fund campus in Calabasas. He was 89 years old. Richard had a large body of work, but he was best known for his portrayal of the long-suffering, good-hearted Nels Oleson on Little House. He will be very missed and always loved. I'm very sorry to hear this. No one could have played Nels any better than Richard. May he rest in peace. OH NO!! I loved him and saw him in so many more shows than just LHOTP. My condolences to his family and to his Little House family. I feel like a dear friend has passed. May he rest in peace. I said just yesterday " I have got to draw Richard Bull next." I will and I promise to make him just the way we will always remember his sweet smile. Love to his family. He was such a dear friend to all of LH fans everywhere. Oh no! I just read about this on Alison's FB. I was wondering why she was posting so many pics of she and him together...then I read the comments. I am so sorry to hear about this. Thanks for That Great Smile Richard! This makes me so sad. So many of these great actors have left us. My prayers go out to his family and friends. 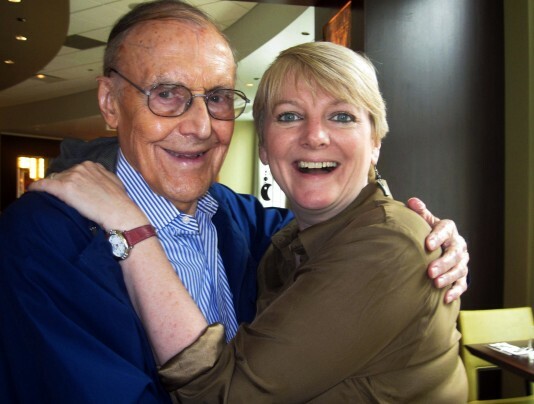 Today we lost my TV "Pa", the wonderful Richard Bull. In real life, he was just as kind, intelligent, thoughtful and reasonable as you'd expect Nels Oleson to be. Tonight my husband and I are sitting down to watch an obscure TV show that Richard and his wife Barbara both worked on called "Nichols" starring James Garner. Richard said it was one the best shows he ever did. I was watching " Times Are Changing" Part I and II last night before I knew about Richards death. In Part II there is a scene where Charles is given a surprise going away gift by Dr. Baker, Rev. Alden, Mr. Edwards and Mr. Oleson. They all end up staying at Laura's into the evening and dancing . Mr. Oleson dances with a bonnet on . I can't help but think they might all be together again, as all of them have now passed. Maybe that dance is a reunion now. Watch this episode if you get a chance. They Are Gin!! You Can Count On It! I'm going to watch 2 LH episodes honoring him tonight: "Anabelle" and "Second Spring." But...one of my favorite stand-out moments happened during the Lake Kezia Monster episode: "I laughed so hard I fell in the lake!" But one heartwarming moment I particularly loved was in Mortal Mission: Harriet- "Oh Nels, I don't know how you put up with me sometimes." Nels- "I don't put up with you...I Love You!" R.I.P. And God Bless You, Richard! Thank you for the beautiful memories. None of us should be sad about Richard's passing......Rather than be sad, his time on this earth should be celebrated. He was nearly 90 years old and lived a good long life. The thing that always struck me about his character is that he had a subtle sweetness about him that he silently conveyed, yet every character was aware of it. Michael wrote that into his character and Richard Bull masterfully delivered it in scene after scene. Everybody has their favorite scenes. With Nels it could go on and on...One of my favorites was in "May I Have This Dance" when he talked to a son that he was so proud of. 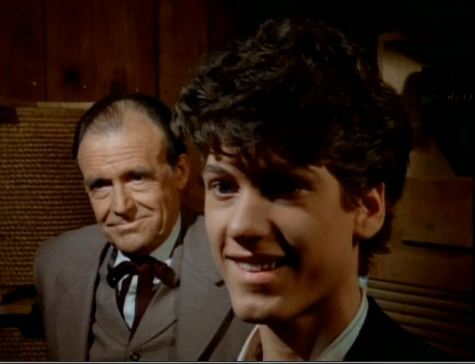 He characterized in that scene what a Father should truly be.....It was in my opinion, Jonathon Gilbert's and Richard Bull's last great performance on Little House. What an actor! Yes! He lived a long & good life. He will be missed. Richard Bull did such a wonderful job of portraying Nels Oleson! I just loved his character and all the times he muttered under his breath when Harriet said something. Another angel in the sky to join the other Little House cast members who have sadly passed away. RIP Richard. A true gentleman, a great comedian and forever our beloved Nels Oleson. This was the first news I read when I turned on my computer. I was so sad to hear it. Nels was one of my favorite characters, and Richard Bull did a wonderful job portraying him for all those years on LHOTP. I agree with what Teresa said- some of my favorite moments on the show were when he was talking back to Harriet or doing something else that would bug her. RIP Richard Bull. I loved him and he had a kind word for everyone. He was one of the actors that would talk about Jonathan Gilbert, what a good actor he was, professional (at least later) and he liked him very much. I laughed when talked of how him and "Harriet" sparred a bit in real life about how she approached things with acting and he did but always with respect. A dieing breed I feel. Acting has changed. 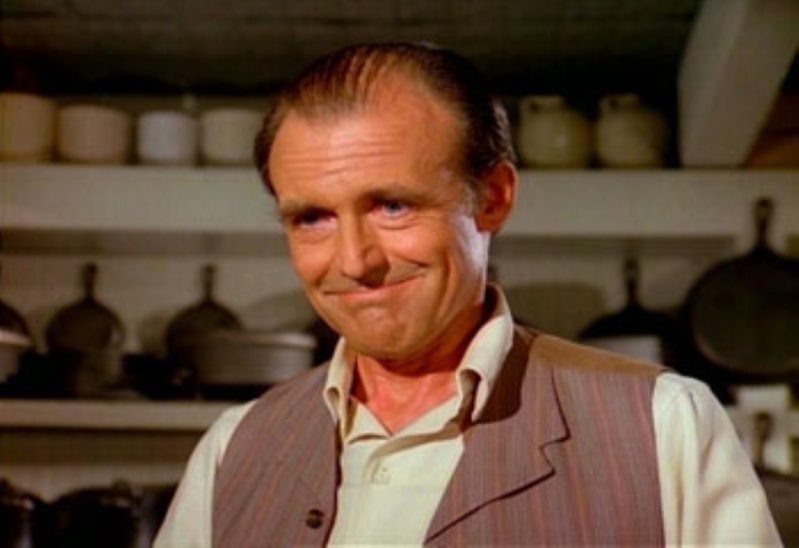 Richard Bull, who played shopkeeper and put-upon spouse Nels Oleson on TV's "Little House on the Prairie," has died. He was 89. 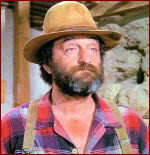 Another "Little House" cast member became a resident there, said Butler: Katherine "Scottie" MacGregor, who played Oleson's memorable wife, Harriet. After Bull's death, Collentine and MacGregor had dinner together Monday night and agreed "they had both lost a wonderful husband," Butler said. I just love that screencap you shared, Dave. Gin, what a beautiful thought---this is how I'm going to picture them all. I do love that scene. None of us should be sad about Richard's passing......Rather than be sad, his time on this earth should be celebrated. He was nearly 90 years old and lived a good long life. Aww, Dave, I so know what you're saying. He certainly had a life to remember and celebrate. 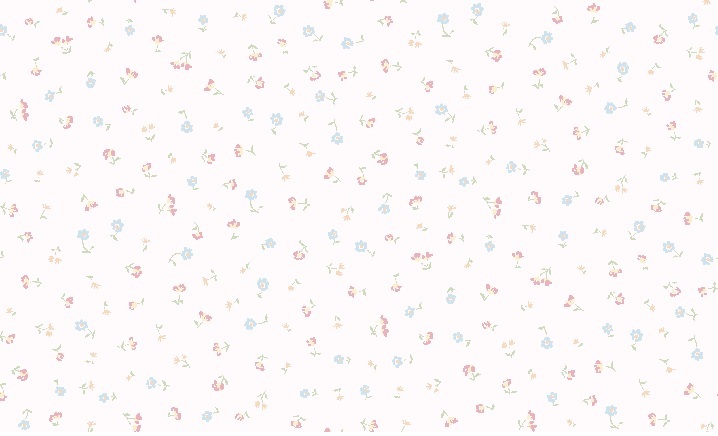 But that's the thing about human nature---somehow it doesn't really matter how much we think about it rationally...loss is hard, no matter what the age. I remember being so surprised at myself after my grandpa died at age 95, that I cried so hard and felt the loss so deeply, when I knew his time was coming and that he had lived a long fulfilling life. 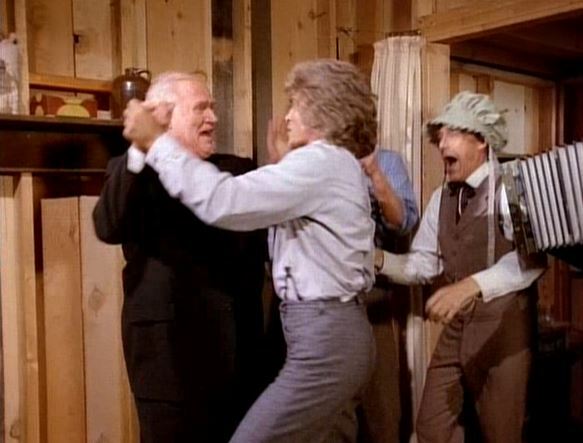 And gosh, we shouldn't have felt sad for Michael Landon or Dabbs or Kevin either, no matter what their ages...after all they have entered the Kingdom of heaven. What's sad about that? Rationally we should know that's a joyous thing and should feel happiness for them. And yet, here we all are, sad that they are no longer with us. Loss is tough thing....it may be selfish, but it's normal to feel sad when we lose the people in our lives, no matter the circumstance. And well, Richard shared our lives for many many years. I really meant it when I said it felt like a dear friend died. I felt that about every other LH death too....these are special people (not just the characters, but the actors) who we've allowed into our homes for 40 years. It just goes to show how very very special this show in particular is...I wouldn't feel this way about any other actors. Oh no! How have I not heard about this until now? What a great loss.. I have his autograph and all cherish it even more so now.. Here is the link for his obituary. If you haven't already I think it would be a nice gesture if we all signed his guestbook.